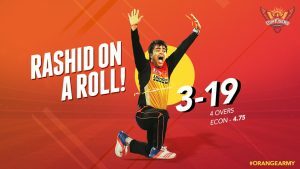 Afghanistan’s Rashid Khan secured three wickets and was awarded the man of the match award for his astounding performance in the second match of the SunRisers Hyderabad in the Indian Premier League. Khan managed to take three key and top order batsmen of the Gujrat Lions to restrict them to 135 runs along with the other players of his team. The first wicket of Gujrat Lions fell during the 4th over of the game after Brendon McCullum was given an lbw in Khan’s ball. The second wicket was taken Bhuvneshwar Kumar during the 5th over of the game while the third and fourth wickets, including Suresh Raina and Aaron Finch were taken by Rashid Khan during the 6th and 8th over of the game. The SunRisers Hyderabad managed to chase the given target by losing only 1 wicket with 27 balls remaining. 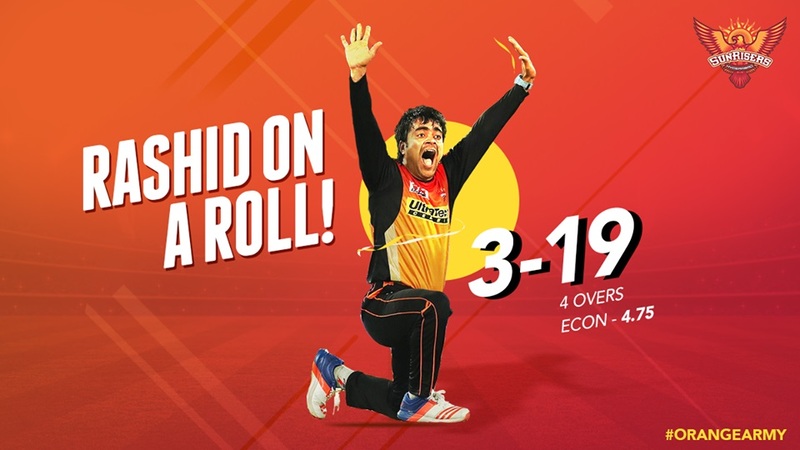 This comes as Rashid Khan shined during the opening match of the SunRisers Hyderabad against Royal Challengers Bangalore on 6th April. He had taken two wickets during his debut of the Indian Premier League.